In the 21st century, technology offers a solution to just about any everyday problem. Don’t know that actor that just came onto your screen? Log onto the IMDB app. Need directions? Just type the address into your phone. Healthcare is no different. Emerging technologies promise to solve the industry’s biggest patient safety concerns, and sometimes they actually do, but not always. In some cases, healthcare technology can simplify complicated processes and improve care. In other situations, it can have negative consequences, particularly if hospitals fail to consider the technology’s impact on workflow. Just like the technology we encounter in everyday life, healthcare technology can be beneficial, but only when it is appropriately integrated into the system in which it is used. Unfortunately, in their rush to purchase cutting-edge gadgets, hospitals often neglect this step. We have reviewed some of the new technology that’s making an impact in the patient safety world, as well as any evidence to support its impact. 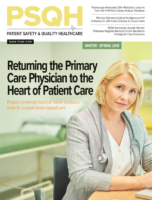 Perhaps more importantly, experts have outlined ways in which hospitals can evaluate important workflow considerations before purchasing or implementing any new technology that impacts patient care. It’s hard to not to get swept up in the wave of excitement that accompanies any new gadget, just walk by an Apple store during the release of a new iPhone® and you’ll see that enthusiasm firsthand. Ultimately, however, there is no silver bullet. Any type of technology, whether it’s a new EHR software update or a surgical robot, is only as effective as the hospital’s process allows it to be.